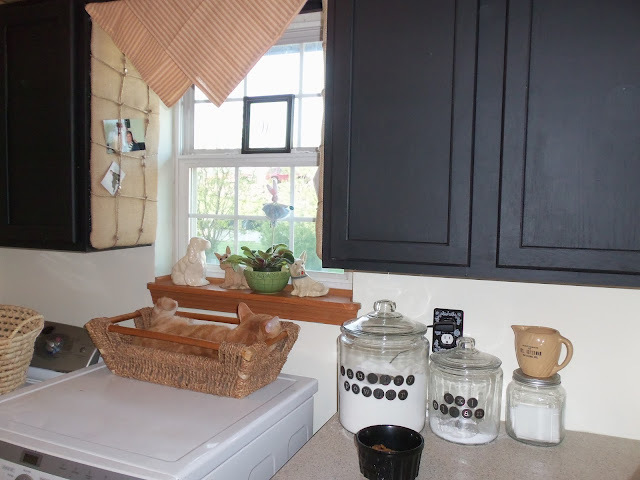 Laundry room makeover,Chalk board menu, Tablescapes, and a burlap craft! Jane, packed some punch in her small yet functional space. Love the cat in the basket..too cute! 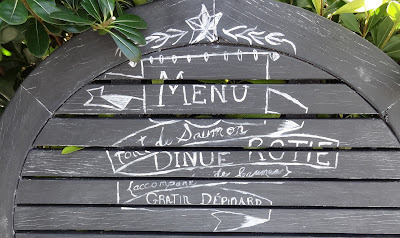 Then there is Little Miss Maggie, and her crafty, clever self..
Nann’s table, just made me smile from ear to ear..
Who did a multi craft..burlap and and a chalk board! I love this, and what a cute vignette she created around it. Thanks for all those who participated. Hope to see you later on for the NEWBIE party. All really nice….Happy Sunday and April! All so impressive. I particularly love Jane’s – the relaxing cat in the basket. All great Deb! Love the laundry room! All of them are very nice. I just love the cat in the basket that brought a smile to my face. I wish kids would pose as cooperatively as cats. Much better than an empty basket. Great features Debbie! The cat in the basket is too cute!! 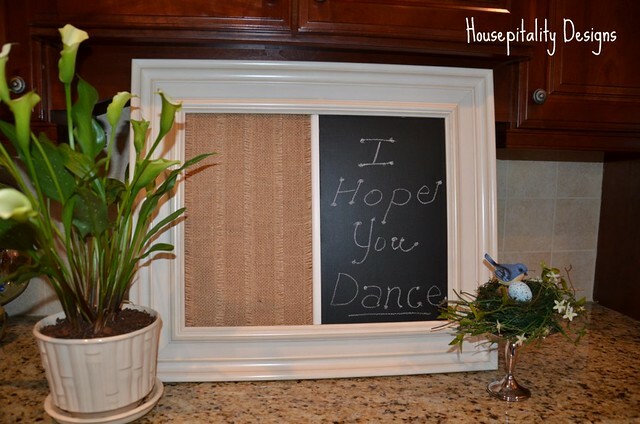 Hey Debbie…thanks for the feature of my “Pass It On” chalkboard…All the features were wonderful…! Such great features! Love that laundry room! What wonderful features, Debbie! The Spring tablescape is TOOO cute!